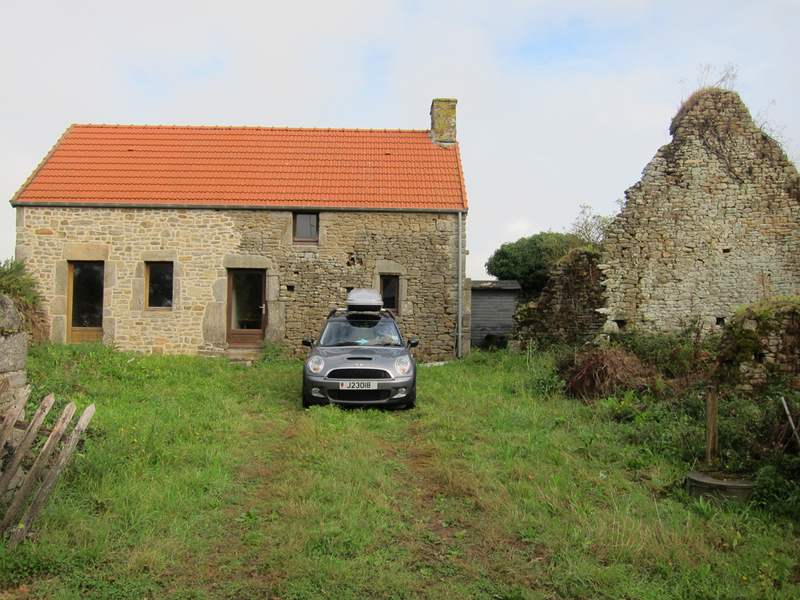 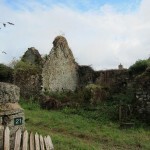 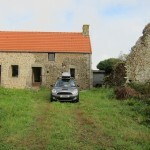 La Ruine is a small holiday home near the north coast of Normandy. 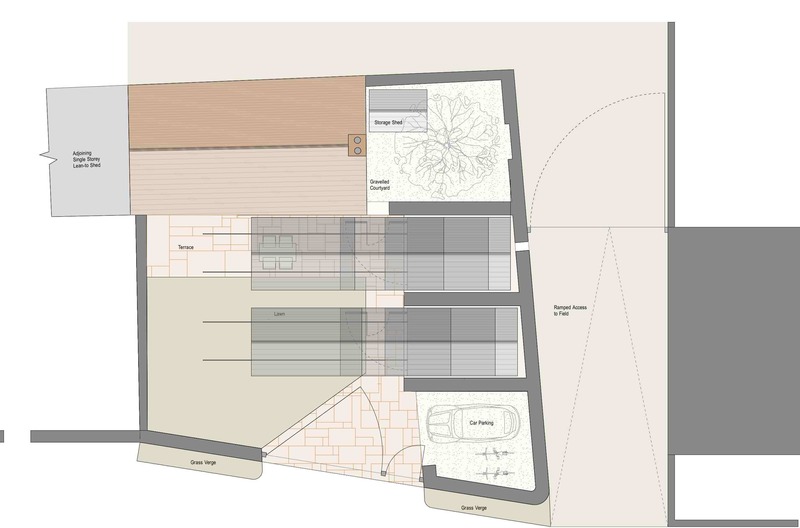 The Client is seeking to extend the existing house to provide additional accommodation in the most cost effective and expedient way possible. 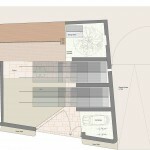 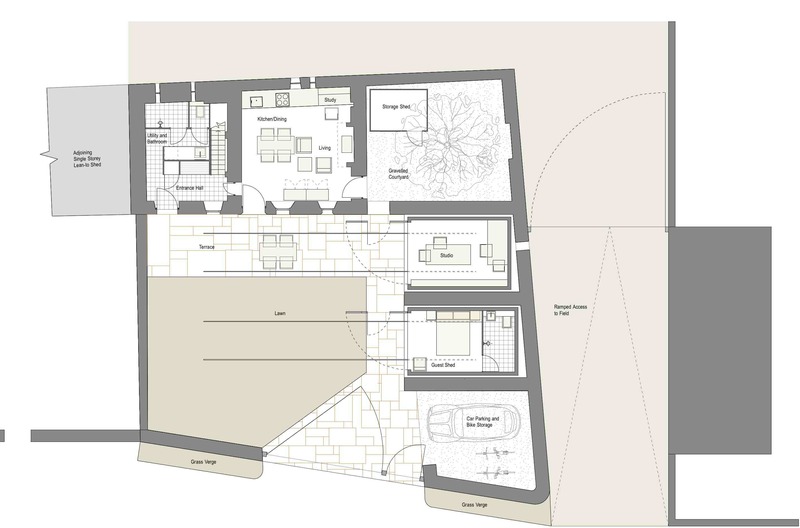 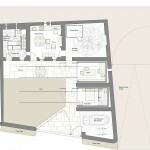 In the proposal, the existing single storey space to the west of the one and a half storey living space is converted to provide an entrance hall and shower room at ground floor with a separate sleeping area at first floor. 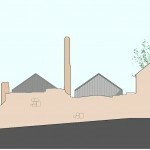 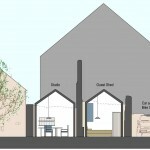 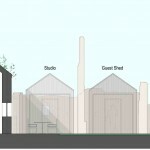 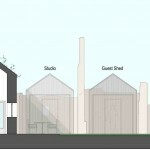 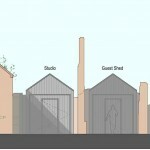 The required artist’s studio and guest accommodation is contained within two contemporary timber sheds. 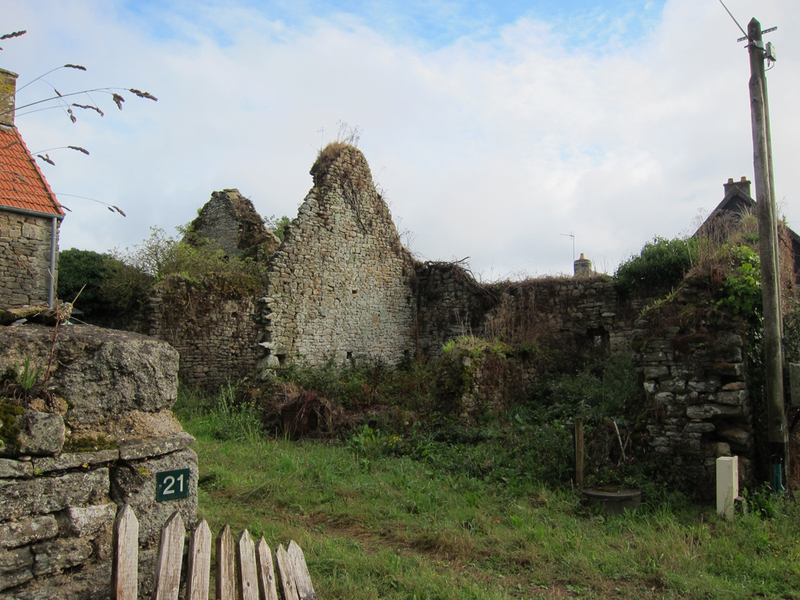 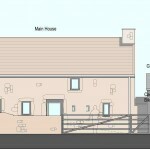 The sheds are located within the crumbling granite walls of the disused outbuildings to the east of the house. 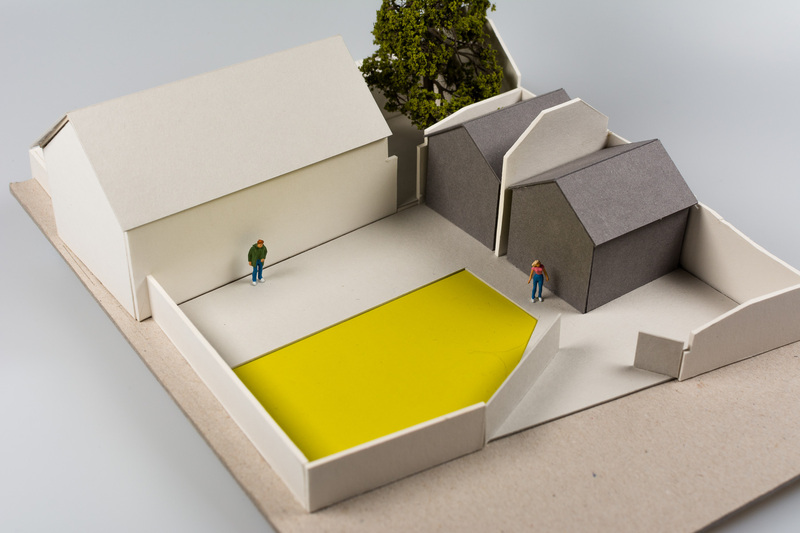 The end walls of the two new sheds are hinged and able to open onto the garden and effectively provide flexible internal/external spaces. 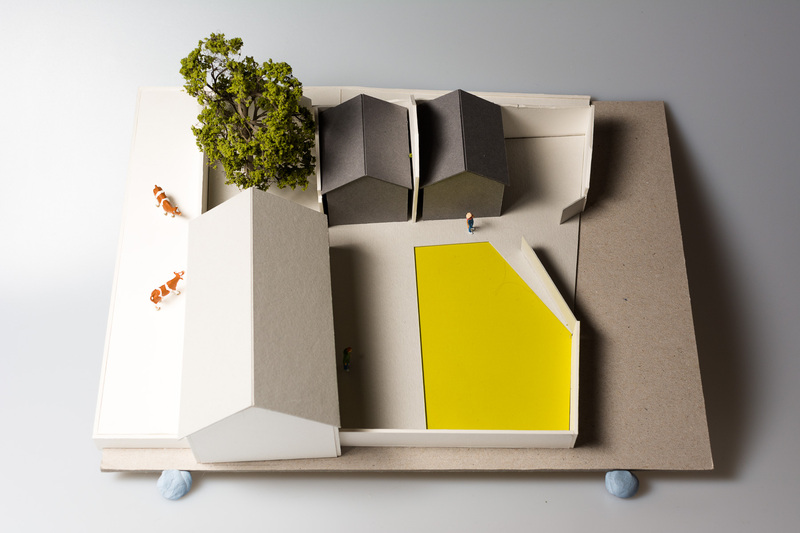 The sheds are on wheels which are located on rails allowing them to be removed from their granite enclosures thus allowing for easy access for repairs and maintenance. 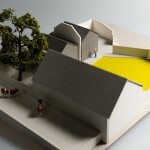 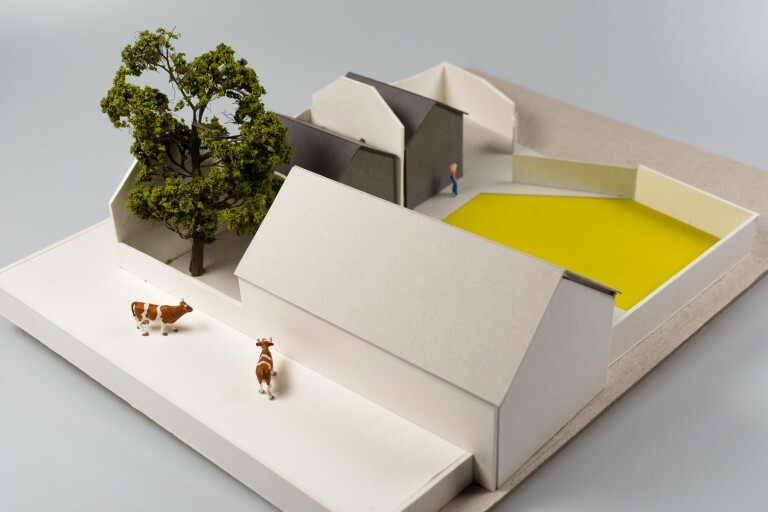 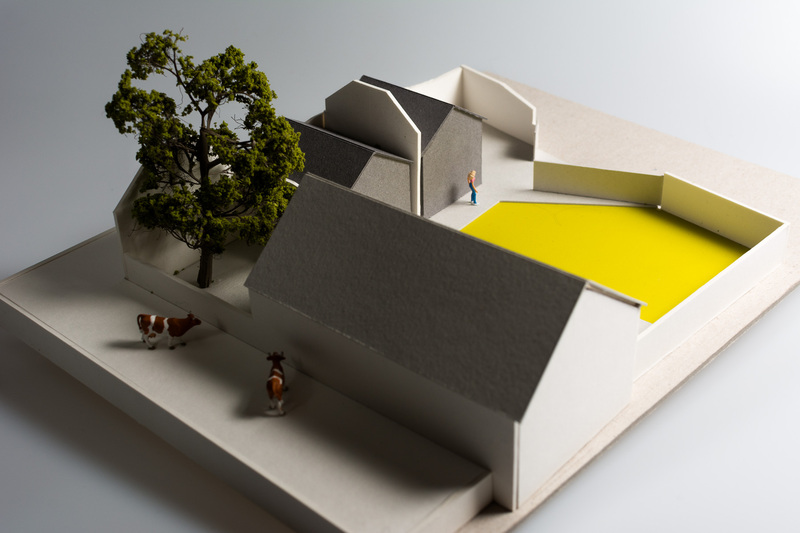 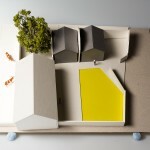 The proposals were developed using a series of sketch models.